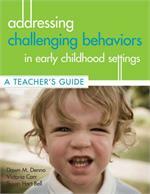 Filled with classroom-based strategies for working with students with or without disabilities, realistic vignettes, and checklists that help readers assess their current practices and implement the suggested strategies, this book gives early childhood teams invaluable guidance on working with children with challenging behavior and building positive relationships with their families. 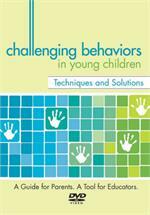 "Includes methods for assessing and understanding the causes of challenging behaviors, ways that administrators can develop centerwide support, and ideas for engaging families as partners. 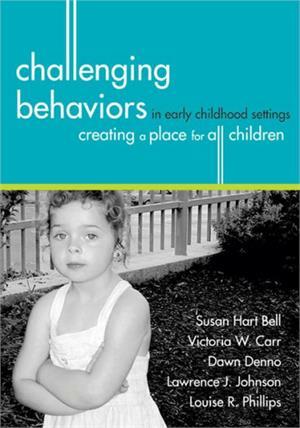 Clear, concise language and questions in each chapter help staff determine if solutions and new strategies have been applied, making this book especially useful to those new to teaching young children."